A Council of Water Ski and Wakeboard Canada. The IWWF has awarded Shalom Park the bid to host the 2019 IWWF World Under 21 Waterski Championships from 4th to 7th July 2019. Shalom Park is a man-made water ski lake nestled in the North Saskatchewan River Valley, just south of Edmonton, Alberta, Canada. Shalom Park was built in 1985 and has hosted a multitude of local, national and international tournaments, including multiple Canadian National Championships, the Canadian Open (an IWWF Elite event), and the 1996 Junior World Water Ski Championships. Multiple national and international records have been set at Shalom Park, including an IWWF Open Men Overall record in 2000 by Jaret Llewellyn from Canada and an IWWF Junior Men Slalom Record by Chris Parrish from the USA, that stood for almost 20 years until it was broken by Robert Pigozzi from the Dominican Republic in 2015. The 2019 IWWF World Under 21 Waterski Championships will be supported by Waterski & Wakeboard Canada, the national governing body for towed water sports in Canada, and towed by the all-new Ski Nautique. About WSWC: Water Ski and Wakeboard Canada (WSWC) is responsible for coordinating, growing and developing towed water sports from initiation to high performance through proactive advocacy, strengthened partnerships, effective communications and coordinated leadership. Representing several brands, WSWC has been in the business of serving the towed water sports community since 1949. A non-profit organization, WSWC is the sole national sport governing body and recognized water ski and wake sport authority in Canada, representing all competitive Canadian towed water sports. 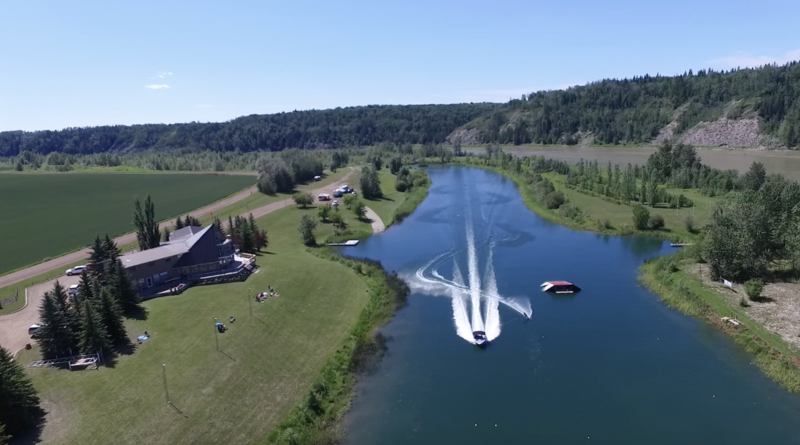 About WSWA: Water Ski and Wakeboard Alberta (WSWA) is the provincial association that promotes participation and excellence in all aspects of towed water sports in Alberta. This is achieved through introduction of the sport to beginners; development of skill level in competition and officiating and providing support and encouragement to towed water sports enthusiasts and their families at local, provincial, national and international levels.